Every now and then (okay, maybe more often than not), we Cal students experience the I-hate-dining-halls-and-I-can’t-eat-any-more-salad days. The world of cooking, however, can seem rather daunting. Here at Spoon University at Berkeley, we understand these qualms and are excited to help get you started with the first step into that world–getting good produce. 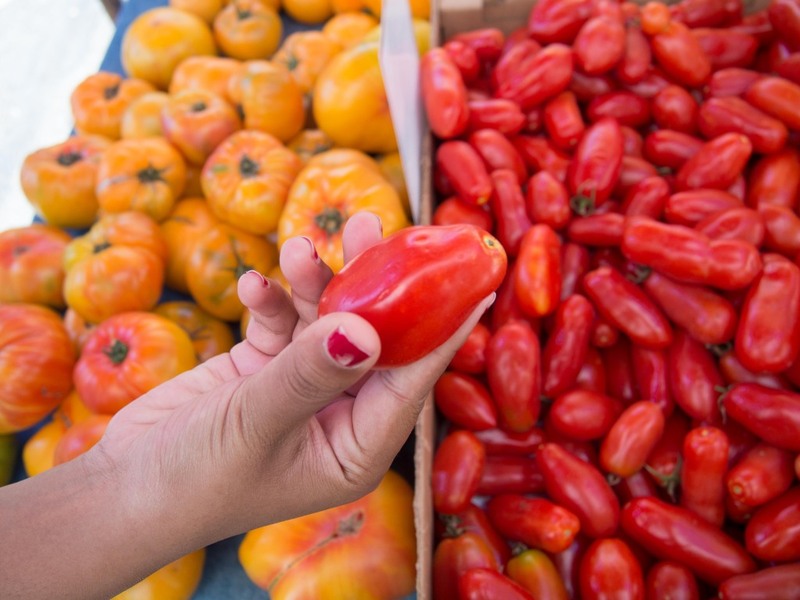 In Berkeley, there’s no better place to get fresh fruits and veggies than the Ecology Center’s Saturday Farmers’ Market. Want to spice up your life? 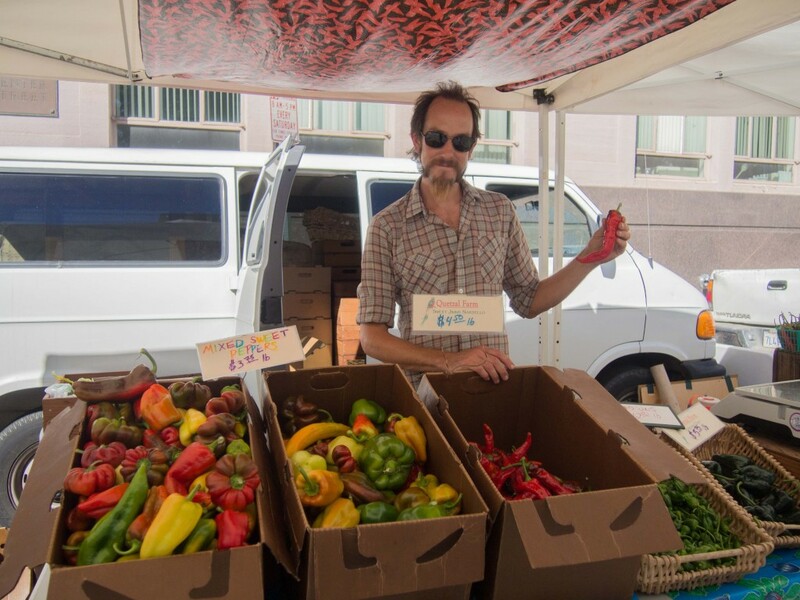 From sweet to spicy, this farmers’ market is filled with colorful and flavorful peppers that will surely add a kick to any dish. Check out the Quetzal Farm Booth, where you can pick up paprika, spicy cayenne and poblanos. Tip: Use the spicy poblanos to make this Frontera-Inspired Mushroom Quesadilla. From McIntosh to Pippin to Fuji apples, you can definitely find your perfect balance of sweet and tart at Billy Bob’s Orchards. Don’t feel like having it raw? You can even use these delectable fruits for making other dishes, such as apple%20pie recipe">apple pies and apple%20pie recipe">apple bacon stuffed sweet potatoes. 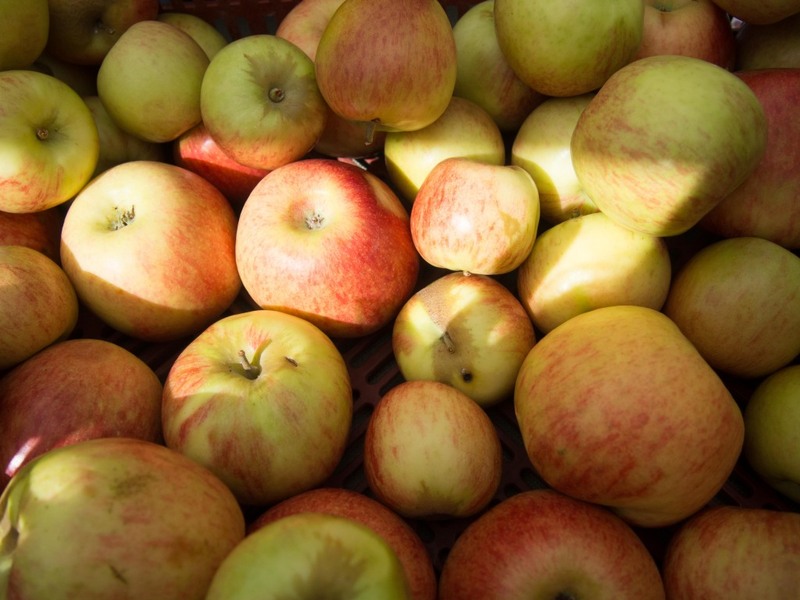 Tip: Zac and DJ, the vendors, recommend the Jonagold apples. 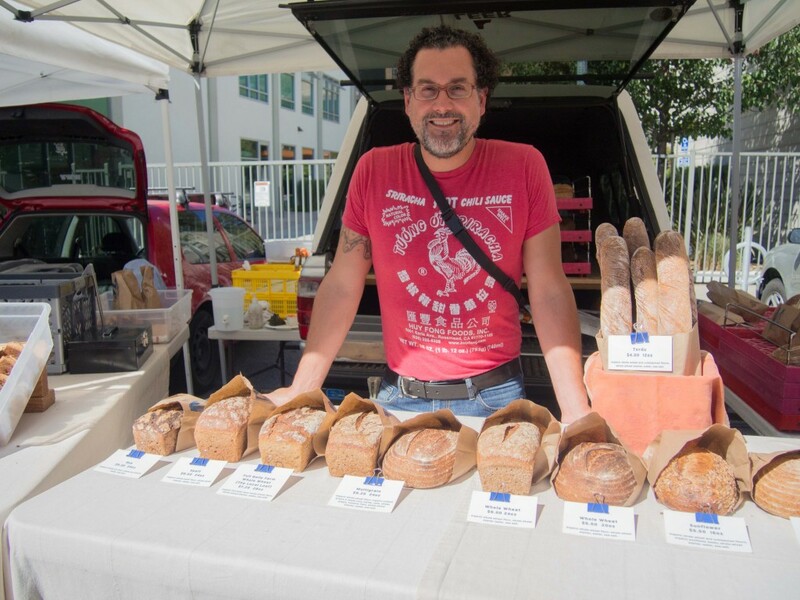 If you walk all the way down to the Martin Luther King Jr. Way end of the farmers’ market, you’ll see Morell’s Bread, selling a wide variety of freshly baked bread, including multigrain and vegan varieties. You can even snag a raisin scone, if you’re craving something sweet. Tip: Eduardo Morell, the owner, recommends his best seller–the multigrain bread. Looking for a fall vegetable that’s anything other than a pumpkin? 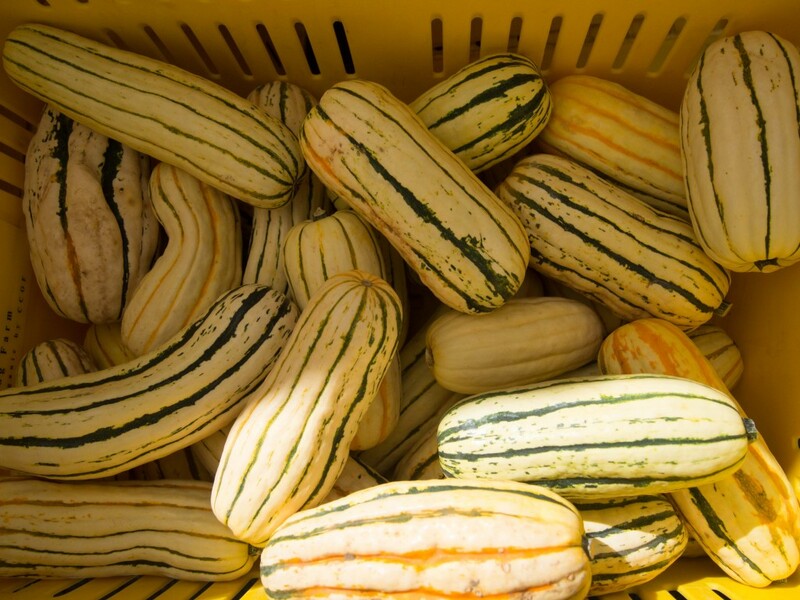 Try one of the several different types of squash varieties like the delicata squash that Caroline, a vendor for River Dog Farms, recommends. Use squash to fancy up your meals, such as this Butternut Squash Pasta. ‘Tis the season of cherry tomatoes. 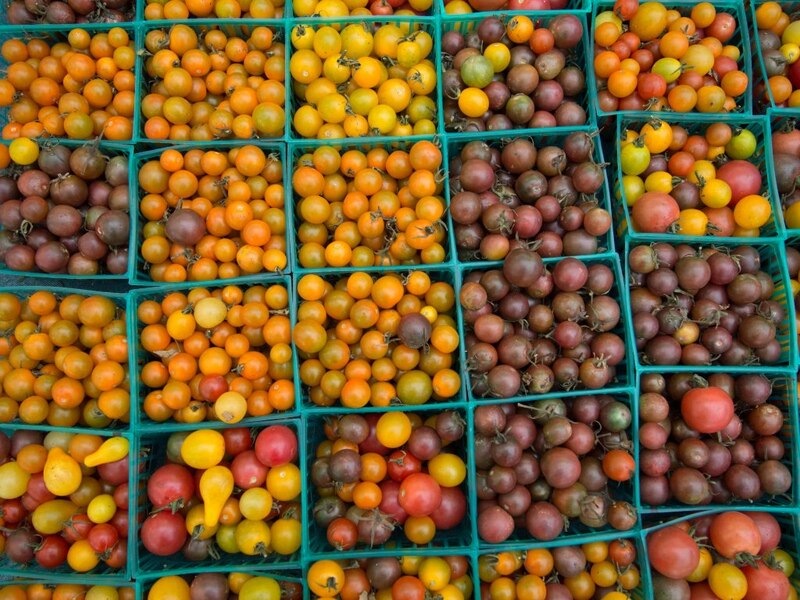 From the red to the yellow to the orange varieties, cherry tomatoes are all over the farmers’ market. They’re great in salads, pastas or even just for snacking. 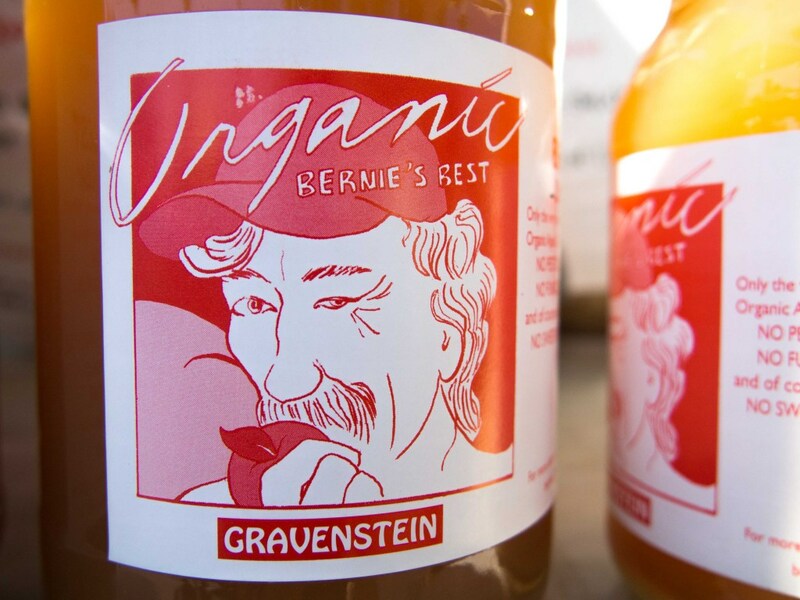 If it’s hot (or even if it’s not), be sure to pick up a bottle of Bernie’s Best Organic Apple Cider. From a sweeter Gravenstein blend to a tart Autumn blend, there’s a refreshing drink for everyone. If you’re craving more apple goodness after you’ve finished your eight ounce, just get some apple sauce from the same stall. Now that you are well-versed in the wonders of the Ecology Center Saturday Farmers’ Market, go ahead and wave goodbye to those cafeteria blues and say hello to the first step in cooking.